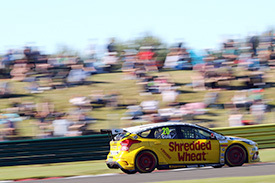 Team Shredded Wheat Racing with Gallagher celebrated its third podium of the season during rounds 13, 14 and 15 of the Dunlop MSA British Touring Car Championship at Croft, with Tom Chilton claiming a superb 2nd place finish in the final race of the weekend (June 23/24). 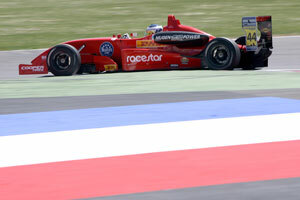 Running on the hard-compound option tyre for race 1, Chilton got off to a solid start with 21kg on-board. Taking a big hit from Commish at the hairpin on lap 5, a heroic save from the Reigate-racer to hold position was rewarded with a points finish of 15th at the line. James Cole ended the opening race with a sound P12 result, picking up another bounty of points for the team�s championship challenge. 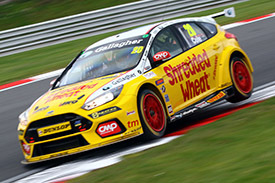 Race two was a tale of two halves for the Team Shredded Wheat Racing with Gallagher duo. Opening lap contact effectively ended Cole�s race after a heavy shunt tipped the #20 Focus RS into a spin at Tower bend. The Liverpudlian did well to recover and avoid the charging traffic, but was forced to re-join the race at the back � eventually crossing the line in P23. A superb start from Chilton saw the #3 Focus RS shift up into P7 after just four tours of the circuit. Setting his sights on moving further up the field, the 33-year-old took on Neal�s fast charging Honda to take P6 at the flag � having made up an impressive 9 places over the 15 lap contest. Starting from P4 by virtue of the reversed grid draw for the final race of the day, another storming start off the line saw Chilton charge up into 2nd on the first corner thanks to a brave move around the outside of Proctor and Neal. After closing down race leader Lloyd in the opening laps and almost challenging for the win, Chilton held off a late challenge from Proctor to claim P2 at the flag and collect his third podium from the last two race meetings. James Cole salvaged the best finish possible from the final race of the weekend, battling hard to eventually bring the #20 Focus RS home in P20. The weekend�s race results see Chilton leap to 5th in the Drivers� Championship standings, with Cole at the midway point of the table in 15th. Both drivers have also cemented their spots in the Independent standings with Chilton in 2nd and Cole 9th. Team Shredded Wheat Racing with Gallagher now lie 4th in the overall Teams� Championship and 2nd in the Independent Standings � just 6 points behind the current leaders as the season enters its mid-season summer break before reconvening at Snetterton for the 60th anniversary celebratory weekend on July 28/29. �Croft has always been dominated by the RWD cars so you come with the plan to minimise the amount of points that they can take away from the weekend. You don�t want to lose too much ground to the RWD teams. I expected the BMWs to be an all-out force, but I think the weight did its job this weekend. The Subaru�s seem to have found religion, have been reborn and they�re now supersonic. A complete turnaround from the back of the grid to front. It appears miracles do happen! �What a turnaround! To start from P17 on Saturday to end 2nd on Sunday is a great result. It was a massive turnaround from qualifying. We went away on Saturday night, had a rethink and changed the set-up. We knew we had to pull it back and we nailed it. �We got a great start in the last race. The medium tyre was the tyre to be on this weekend and that showed in the last race especially. I was lucky to hold onto 2nd at the end of race 3 to get that podium. I�m really, really happy for everyone in the team that we managed to claw back all the points that we could. �We had a competitive car in qualifying and race 1 and started the weekend just as we wanted. We then got taken out on the opening lap of race 2, and as we all know that ruins your weekend. A top 10 and potential reverse grid was absolutely on the cards and that would have been a completely different story. It�s very frustrating that we weren�t able to convert that into results. Liverpool based professional racing driver James Cole is racing a Team BMR run Subaru Levorg in the 2016 British Touring Car Championship. 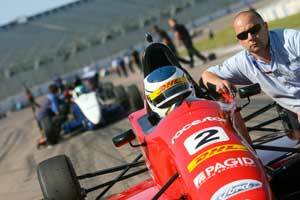 The 27-year-old began his racing career in 2007 competing in BRSCC North West Formula Ford. 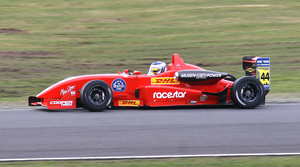 He immediately won this regional championship and in 2008 moved to the main British Formula Ford Championship won previously by Ayrton Senna and Jenson Button. 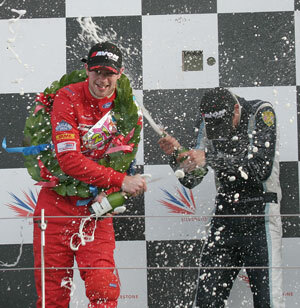 In 2009, James won the British championship taking seven wins and fifteen podiums. In 2010 he moved to the National British Formula Three Championship winning eleven races and taking five poles, seven fastest laps and a record breaking twenty nine podiums. 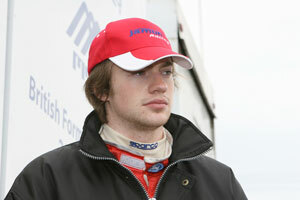 In 2011 he moved up to FIA Formula 2 and then in 2013 to the BTCC. A consumer road safety brand that celebrates a passion for driving whilst also advocating a cool, calm head behind the wheel and a responsible and defensive approach to road use. Launched in early 2013, Drivecool was created by professional racing driver, James Cole, who was inspired by his own personal experiences when he was knocked down and badly injured as an 11-year-old school boy. His post accident medical care, which was overseen by the late Prof Sid Watkins, the FIA�s Formula One safety and medical delegate, further inspired him. �Sid helped me after my accident.� says James. �He was from Liverpool too, and he was a straight talker. He definitely inspired me. I think he�d approve of what we are trying to do with Drivecool.� The concept behind Drivecool grew from James� early racing career. �Drive cool� he would say to himself when he climbed into his race car. �Stay calm, keep a cool head and drive cool.� And as simple as that, the Drivecool brand was born. 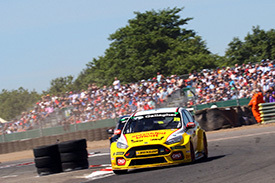 The British Touring Car Championship is Britain�s biggest motor racing championship, dating back to 1958. It was renamed the British Touring Car Championship in 1987 and has been run by the TOCA organisation since 1992. The BTCC is shown live on ITV4 on Sunday afternoons. James Cole accumulates valuable race mileage in opening Brands races. United Autosports accomplished its main priority in the opening three races of the 2014 Dunlop MSA British Touring Car Championship races � and earned some valuable points at the same time. The Leeds-based team making its BTCC debut with James Cole, who had previously only contested four BTCC race weekends, clocked up valuable and crucial race mileage in its Toyota Avensis at Brands Hatch today. Less than 0.5secs had covered the fastest 16 cars in qualifying with Cole a mere 0.693s slower than the �pole-sitter�. James Cole netted 22nd and 14th placings. Cole was spun out of the opening race. Cole finished less than 12secs behind the winner in the 30-mile third race. James, part of a six-car �train� dicing for ninth place, led home double former BTCC champion Fabrizio Giovanardi earning himself two valuable championship points. The near capacity 30-car grids featured seven past or present BTCC champions, 13 previous race winners and teams that have been contesting the series for over a decade. Cole�s ex-Wrathall Toyota meanwhile was completely stripped and rebuilt during the winter. The next rounds of the Dunlop MSA British Touring Car Championship are staged at Donington Park, Leicestershire, over the Easter weekend (19-20 April). �There are many positives to take forward from Brands Hatch but our first three races underline that we�ve a lot of work to do. None of us have previous experience with the New Generation Touring Car [NGTC] formula apart from James who ran a handful of races last year but we nevertheless made progress this weekend. Rd 1 Qualifying: 15th #20, 48.921s; 19th #21, 49.053s. Weather: Sunny/dry. Race: 20th #21, +33.914s; Not classified #20 (accident). Weather: Bright/dry. Rd 2 Start Positions: 20th #21; 28th #20. Race: 21st #21, +12.855s; 22nd #20 +13.256s. Weather: Cloudy/dry. Race: 14th #20, +11.184secs; 25th #21, -3laps. Weather: Cloudy/dry. Driver�s Championship: 18th Cole, 2pts. 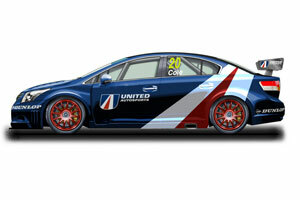 United Autosports have confirmed they will be entering the 2014 Dunlop MSA British Touring Car Championship (BTCC). The team will be fielding two Toyota Avensis touring cars for drivers James Cole and Glynn Geddie. 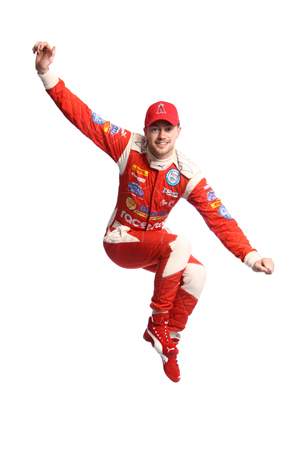 James drove in the 2013 BTCC championship and Glynn won the European Supercar Challenge Championship with United Autosports in 2013. United Autosports, which started competing in 2010, will be entering their fifth year of competition and are looking forward to taking the next step in their relatively short existence. The British Touring Car Championship is one of Britain�s most popular and competitive series, giving United Autosports a new challenge for 2014. The team will contest GT races alongside the BTCC, appearing in the British GT Championship with Mark Patterson and Matt Bell in the Audi R8 LMS ultra, as well as contesting the usual overseas races: the Spa 24 Hours, Gulf 12 Hours, Macau GT Cup and the Bathurst 12 Hours. The team will also be entering a selected range of historic races in 2014, with the Zak Brown Race Cars of Distinction collection. 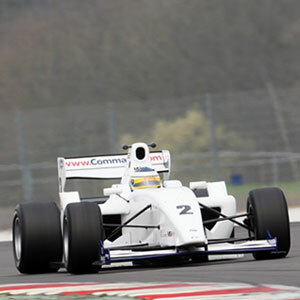 United Autosports will be at the Brands Hatch Indy circuit for the first round of the championship at the end of March. Liverpool racing driver, James Cole announces today 3rd January 2013 that he will make his debut in the 2013 Dunlop MSA British Touring Car Championship (BTCC), driving for Team HARD in a Vauxhall Insignia. Cole switches from single seaters to touring cars to capitalise on the high profile and wide audience enjoyed by Britain�s premier racing series, for the introduction of an exciting new road-safety initiative to be launched later this month. 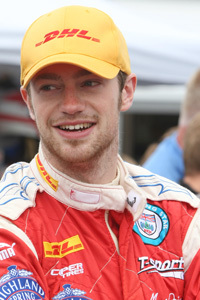 24-year-old Cole rose quickly through the ranks of single-seaters, winning the North West Formula Ford Championship in 2007, stepping up to the British Formula Ford Championship in 2008 and winning this championship in only his second season, an achievement which earned him nomination for the prestigious McLaren Autosport Young Driver of the Year Award in 2009. 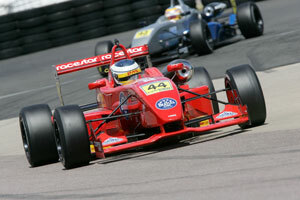 Moving to British F3 National Class in 2010, Cole won nine races and took eight poles on route to being runner up in only his first season at this level. Since this time, Cole raced in F2 in 2011, and spent 2012 working on developing the new road-safety initiative and putting plans in place for its launch. On his ascent through the motorsport ranks, which started in 2007 with success in regional championships.�In 2009 James won the British Formula Ford championship and finished third in the legendary Formula Ford Festival at Brands Hatch. This was followed up by a successful British Formula 3 campaign, in which he competed in the National Class, finishing the year as runner-up. The highly-rated 22-year old British driver has already been part of the MSA British Race Academy and become a McLaren Autosport Award finalist, and is currently�a British Racing Drivers Club Rising Star. 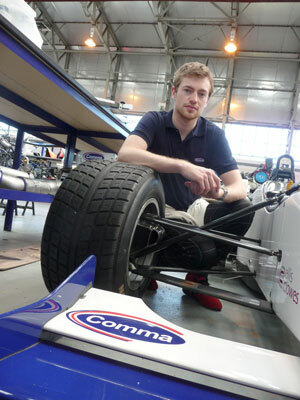 Comma Sales & Marketing Director, Mike Bewsey, revealed today that James Cole, a prominent rising young star of British motorsport, has been chosen to drive the Comma sponsored No 2 car in this year�s FIA Formula Two Championship. 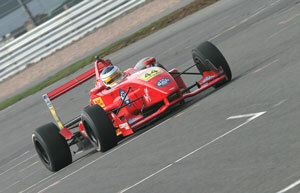 The highly-rated 22 year old driver from Merseyside has already been part of the MSA British Race Academy and, following in the wheel tracks of previous McLaren Autosport Award finalists such as David Coulthard, Dario Franchitti, Jenson Button, Paul Di Resta and reigning FIA F2 champion Dean Stoneman, Cole joined their prestigious ranks in 2009. 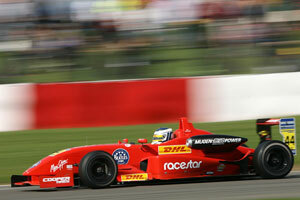 He is also currently�a British Racing Drivers Club Rising Star. 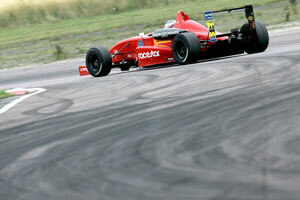 In 2007 at the age of 18, James began his racing career with instant success in regional Formula Ford championships.�In 2009, he led from start to finish of the season to dominate and win the British National Formula Ford championship and finish third in the legendary Formula Ford Festival at Brands Hatch. He followed this in 2010 with a successful British Formula 3 campaign, competing in the National Class and closing out the year as runner-up. Away from the intense demands of racing, James indulges his other great passion of music by playing keyboard and lead guitar in a band. �My parents keep asking when I�m going to get a real job, but music and motor racing are my hobby and my life,� he says. Could it be more than a happy coincidence that James� motor racing hero, 1996 F1 World Champion Damon Hill, was also an accomplished rock guitarist and has made several guest appearances with celebrity bands? 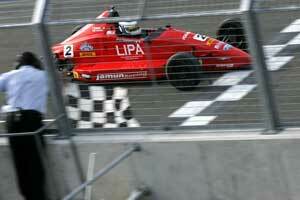 28 September 2010.../Liverpool driver, James Cole, saw his title chances evaporate at the final round of the Cooper Tires British F3 International Series last weekend. The 22-year-old driver had led the class all season up until the penultimate event, and with only four points between him and his adversary, Menasheh Idafar, Cole had been determined to show his prowess, but it was not to be. 31 August 2010.../The penultimate round of the Cooper Tires British F3 International Series at Snetterton this bank holiday weekend produced three exciting races, with 22-year-old James Cole in the thick of the hunt for the National Class championship title. Only four points separate team mate and title rival, Menasheh Idafar, from Cole, with Idafar drawing narrowly ahead at Snetterton. The weekend began with testing on Saturday and Cole was focused on preparing his car for the challenge of the Norfolk track. 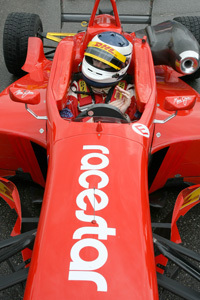 Afternoon rain gave Cole a chance to experience the circuit in wetter weather, which was to prove useful for the first race on Sunday.� A torrential rain storm just before the race started flooded the track and when Cole set out to line up on the grid in his Dallara Mugen Honda, it was shod with the treaded wet tyre, the choice of all the F3 teams. In tricky conditions Cole had the better of Idafar at the start but his rival slipped through at the second turn and as the track dried Cole was only able to shadow his team mate. As the race reached its closing stages a dry line gave Cole the opportunity to switch to slick tyres and take a point for fastest National Class lap, a tactic which could prove critical in the final points tally after the final round. The second of the three races this weekend took place this morning, with the holiday crowd enjoying the feature length race which took place on a wet but drying track, adding to the challenges of the Snetterton track. Cole started second in class, but unable to take the win off his rival, the Merseysider focused on a strong points finish to keep the championship battle alive. The final race was the first dry race of the weekend and although Cole was lapping at a similar pace to Idafar, he was unable to pass his team mate in similar machinery and once again followed him to the chequered flag. Three second places for Cole dropped him behind Idafar for the first time this season, but with only four points between the two the title battle rages on. �I always thought the title fight would go to the wire,� said Cole. �We�ve been so evenly matched all season that it was perhaps inevitable. I didn�t have the best weekend of my season and felt I didn�t have the car I needed to be winning, but I�m sure I�ll turn it around for Brands Hatch, the final event of the series this season. The final event of the British F3 International Series takes place at Brands Hatch circuit, Kent from 25 � 26th September. 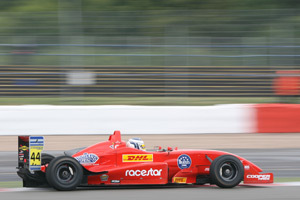 16 August 2010.../After eight rounds of the ten round Cooper Tires British F3 International Series James Cole leads the way in the National Class, with a win and two second place finishes at Silverstone this weekend keeping him ahead of title rival, Menasheh Idafar. Cole has led the National Class since the opening round of this year�s British F3 International Series, in his first year of the championship. Despite a strong challenge from Idafar each race weekend Cole has stayed ahead, using his ever-improving race skills and putting in a season-long focus on driving to his best ability each weekend, to hold the upper hand after each three-race event. The battle for National Class honours was as tight and challenging as ever at Silverstone, with Cole pushing hard each and every lap, throughout the practice and qualifying sessions as well as the three race distances. The typically unpredictable British weather shaped the outcome of Saturday�s opening race. With rain falling just prior to the race Cole, driving his T-Sport Dallara Mugen Honda F3 car, opted to take the start with wet tyres, but on the formation laps decided to pit for slicks, forcing him to start from the pitlane. Three laps after the start rain fell heavily and Cole was back to the pits for wet tyres and he was then able to push on, taking a second place finish. A dry, warm track greeted the F3 field on Sunday morning for the second of the weekend�s races, an 11 lap sprint distance. Cole led the National Class from the opening lap and held off Idafar to secure his first win of the weekend, his 11th win of the season. The third of the trio of F3 races, a 40 minutes Feature race, was held in dry, hot weather and although Cole chased Idafar hard, he was unable to take the honours this time, but with another second place finish, he kept ahead in the title battle. Cole said of the Silverstone weekend, �Consistent strong finishes has been the key to maintaining the lead of the National Class. I�m having to fight tooth and nail in every race to stay at the top, but the pressure is keeping me on my toes and helping me to use my head and ensure I finish each race with the best result possible. 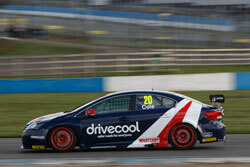 Cole returns to the track in two weeks time with the ninth round taking place at Snetterton race track in Norfolk. 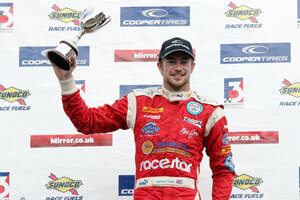 9 August 2010.../James Cole celebrated his tenth National Class win in the 2010 Cooper Tires British F3 International Series this weekend. The three races at the Thruxton circuit in Hampshire produced a win and two seconds for the Liverpool driver and put him 10 points clear of title rival, Menasheh Idafar in the National Class Drivers Championship. Cole and Idafar arrived in Thruxton as joint leaders in the National Class and with Cole having led from the start, he was determined to wrest back the advantage. The practice sessions gave Cole his chance to learn the characteristics of the high-speed circuit and work with the T-Sport crew to develop the set up of his car ahead of the qualifying session. An engine change after the session gave the T-Sport mechanics extra work ahead of the races, but the car was ready for the races in plenty of time. �It was the first of the three races which gave Cole the edge for the weekend. Cole kept it clean throughout the 27 laps of racing and with Idafar crashing out on the penultimate lap, he was able to take the Class win. The remaining two races of the weekend saw Cole and Idafar fight hard and fair. In the second race, a 17 lap sprint distance, the two young drivers, vied for class honours and with their closely matched machinery, it was a close battle which was won by Idafar on this occasion. The final race of the weekend was a similar story, but Cole was forced to pit for extensive repairs after being caught up in a clash between two International Class drivers. With bent wishbones and a damaged rear wing, Cole could only race on for championship points, unable to vie for the fastest lap or a Class win. His second place finish kept him in the lead of the all-important National Class Drivers Championship. Cole will have little time to reflect on the weekend with the next round of the championship hot on the heels of Thruxton. Silverstone will host the next event this coming weekend and Cole is already preparing for the championship�s second visit to this venue, working with his engineer to be as ready as possible for the three races ahead. 2 August 2010.../James Cole took on the challenge of the famed Spa-Francorchamps circuit in Belgium this weekend, with the Cooper Tires British F3 International Series crossing to the continent for the sixth round of the championship. After a torrid start to his weekend, with technical issues sidelining him in practice, Cole showed his fortitude to remain competitive in each race, taking the class win in the final race of the weekend to put the Liverpool driver on a par with title rival Menasheh Idafar. With four rounds remaining of the season, Cole remains determined to fend off team mate Idafar to claim the crown. Driving the T-Sport Dallara Mugen Honda at one of the top racing circuits in the world, Cole was given his first chance to experience the thrill of Eau Rouge, one of the fastest sections of any race track which favours the brave and pushes drivers to the limit.� A drive shaft problem during the practice sessions ahead of the weekend�s racing put Cole on the back foot right from the start and at such a long, technically demanding, track this was always going to make it difficult for him, but as always, Cole�s gritty determination helped him to keep the championship battle raging. Cole�s race debut at Spa saw him in a fierce battle with arch-rival Idafar, with the two protagonists racing wheel to wheel until Idafar pipped Cole to the lead to take the win. The second race was a similar dog-fight, with Cole pursuing Idafar for much of the race distance, and crossing the line second in class. The final race of the Belgian trio continued to produce a heated battle between the T-Sport team mate, which spilled over on the opening lap. An ambitious move on Cole by Idafar resulted in contact, although with Idafar coming off worse, Cole was able to continue on and sweep through for the win. Cole said afterwards, �Menasheh made a very ambitious move on me into the Bus Stop chicane, cutting across me which took off my front wing. He paid for this with a puncture, so although my pace was hampered I could continue and take the win. �Winning that last race of the weekend was critical for me. I�d been hurt badly by missing a session at the start of the weekend, as this track isn�t easy to learn or master and with the changing weather conditions, it was a constant learning curve throughout the weekend. I knew I had to take three strong finishes, and keep as close as I could to Menasheh, so that I collected plenty of points. My strategy proved successful and I think take a win and be tied for the championship lead after this weekend isn�t as bad as it could have been. 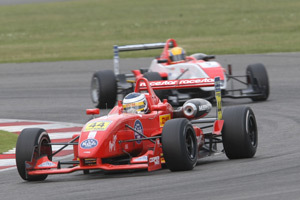 Cole and Idafar are tied for the British F3 National Class title with 252 points apiece and nine class wins each. 19 July 2010.../The fifth round of the 2010 Cooper Tires British F3 International Series at Rockingham this weekend produced some epic battles, with James Cole in the thick of his fight to retain the National Class championship lead. A well deserved victory in the final race after two second place finishes kept the Merseysider at the head of the tables, leading title rival, Menasheh Idafar, by five points as the Series reaches halfway point of the season. A blistering pace throughout the weekend also saw Cole finish seventh overall in the final race, proving his ability to mix it with the faster International Class cars. 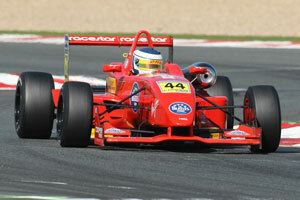 The final race, a 40 minutes Feature race, was another classic F3 incident-filled event with a multi-car accident producing first lap drama for the front runners. Cole picked his way through the littered cars, running under the safety car until the track was cleared. 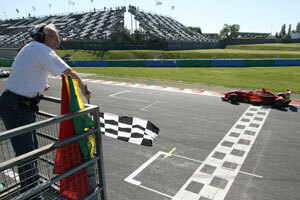 He led Idafar from the green flag to the finish, posting fastest class lap en route to his eighth victory of the season. His delight in winning the race was heightened by his achieving a seventh place overall, his best finish position so far. 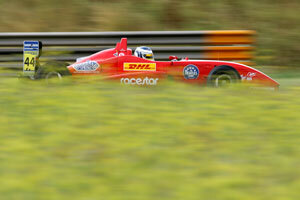 Cole will continue his assault on the British F3 National Class championship at Spa in two weeks time. 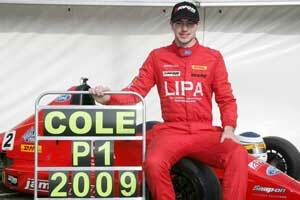 24 May 2010.../Liverpool racer, James Cole, forged ahead in the Cooper Tires MSA British F3 International Series with two victories in the third of the ten round championship held at Magny Cours this weekend. 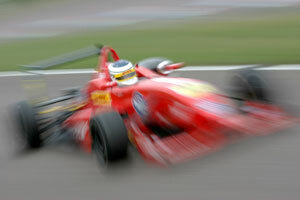 This three race event was Cole�s first visit to the French track and he showed his strong form as he quickly got to grips with the former Formula One circuit. The weekend began for Cole with the practice and qualifying sessions. 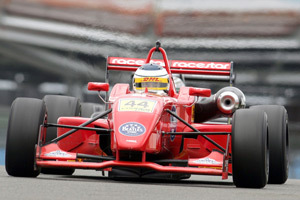 The 21-year-old driver enjoyed the combination of his T-Sport Dallara Mugen-Honda National class race car and the big, sweeping corners of the Magny Cours circuit, as he continued his learning curve with the powerful single seater. Second in class on the grid for the first of the three races, Cole was also ahead of three of the main International class racers and he was set for the challenge of moving up the order for the first race. His second fastest qualifying lap put him on class pole and ahead of National class rival and T-Sport team mate Idafar Menasheh for the third race. Cole had a storming start for the first of the three races, overtaking Menasheh and improving five places by the end of the first lap. As the race settled Menasheh regained the ground he had lost at the start and began challenging Cole, with the team mates pushing each other hard in the mid-section of the race. The battle raged, but Cole was unable to stop his team mate passing in the closing laps, crossing the finish line in a strong 12th position, to finish second in class. The tables were turned in the second and third races. Cole was determined to wrest the advantage away from Menasheh and he succeeded in style. The morning began with a dramatic 10 minute Sprint race. The original 20 minutes scheduled race had to be restarted following a clash between two International class racers and with the shortened race distance, it was a dash to the chequered flag over seven laps. Cole drove flawlessly, lapping consistently and keeping faster International class cars at bay as he swept to the class win. The third race sealed Cole�s dominance of the weekend with the young driver enjoying the challenge of the 26 lap feature race and showing his prowess behind the wheel of his Dallara Mugen-Honda. In the opening laps Cole chased hard with Menasheh ahead on track, but in his sights. By mid-distance he had closed down the gap and was in striking distance of taking the class lead. Cole diced with his rival and then raced past Menasheh. Not content to have the lead Cole then pushed on to overtake International Class competitors, proving his determination on every lap of the race. A 12th place finish overall capped a solid weekend of racing for Cole, as he consolidated his lead of the National Class. The British F3 International Series stays in Europe, moving on to Hockenheim in Germany for the fourth event next weekend and Cole is keen to continue the progress he has made in France, as he focuses on his goal of winning the National Class of the Series. 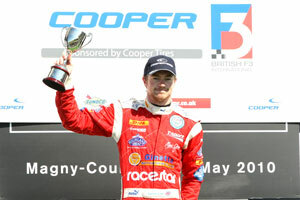 3 May 2010.../James Cole extended his lead in the National class of the Cooper Tires British Formula 3 International Series, scoring two wins and a second place at Silverstone this weekend. Cole�s success has put him 25 points ahead of second placed driver and T-Sport Racing team mate, Menasheh Idafar. Cole�s weekend began smoothly with competitive running in the practice session ahead of qualifying, with the series taking to Silverstone�s new Arena circuit layout, the first time that this configuration had been used for a race event. In the qualifying session Cole suffered a broken gear linkage, so was unable to capitalise on new tyres and had to start close to the back of the grid. The 21-year-old from Southport thrives on this type of challenge and was quick to make up ground on the opening lap of the first race held on Saturday, to take the class win after 14 laps of racing. After overnight rain, the track conditions had changed for the second race on Sunday morning to provide a different learning experience for Cole. Over the course of the ten lap sprint distance he pushed hard and turned good lap times, battling with team mate Idafar in the closing stages, with Cole finishing a close second to Idafar at the chequered flag. In the final F3 race of the weekend Cole had another strong drive, showing good pace and improving his lap times over the course of the 20 lap feature race distance. He kept team mate and National class title contender, Idafar, at bay to claim his second win of the weekend and retain the lead of the National class championship. Cole was also pleased to be ahead of National class runner, Luis Razia, Formula One team Virgin Racing�s test driver, in all three races. 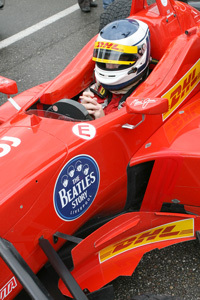 6 April 2010.../Liverpool racer, James Cole, finished his first round of British F3 reflecting on the highs of a challenging weekend. A class win and lead of the National Class has buoyed the 21-year-old driver�s confidence as he heads into the toughest season of racing of his career. Oulton Park, host venue for the Cooper Tires British F3 International Series during the Easter weekend break, is familiar territory for the 21-year-old and he enjoyed his first experience of F3 racing, driving with the experienced T-Sport racing team. Cole, reigning British Formula Ford champion, has graduated to the National Class of the British F3 championship and is using the opportunity to continue his motor racing education in one of the most competitive single seater categories. The Merseysider began his weekend with a solid qualifying performance on Saturday morning, earning 16th place grid slots for the first and third races, with the grid for the second race featuring semi-reversing from the race one finish. 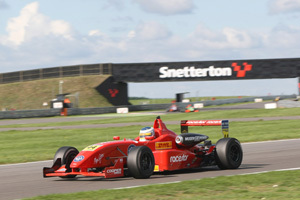 The opening race was Cole�s first experience of the frenetic, wheel-to-wheel action of British F3 and he kept his cool, holding position for the first few laps, then improving to 12th position. A two lap safety car period calmed the field and on the return to full speed racing, Cole had to battle hard with rivals around, but these faster international cars proved more than a match, and he was pushed down one position. 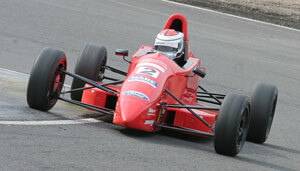 Undeterred Cole pushed on and fought back to reclaim 12th place by the chequered flag. Racing resumed today, after a day off from track activities for Easter Sunday. Cole was keen to continue to score consistent points and benefit from his 12th place start, but luck wasn�t on his side. An unfortunate spin on lap 5 of the 13-lap race, prematurely ending Cole�s run, sidelining him for the remainder of the race. The final race, a 26 lap feature event, tested Cole�s stamina as well as his racecraft skills, with the racer having previously only competed in races averaging less than half this distance. Cole endured a tough race, having dropped back to the rest of the field after an enforced pitstop at the end of lap one. It was a chance for Cole to put the hammer down when he returned to the track and he turned a string of consistent laps to reduce the gap to the cars ahead. Finishing 17th and taking the National Class win was a welcome reward for Cole�s efforts, and with his 12th place finish from the first race he took the lead of the National Class. After the three races, Cole said, �It�s been a positive weekend for me. I didn�t expect to lead the National Class after the first weekend, but very happy to have achieved this at an early stage of the season. Being top is one thing though, it�s going to be very tough to hold on to it, but it�s consistency which will be the key. Cole carries the lead of the National Class into the second round of the series in three weeks time at Silverstone circuit, Northamptonshire. 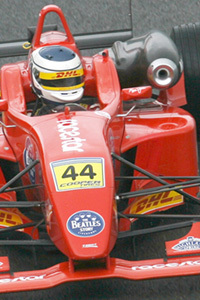 The Cooper Tires British F3 International Series will race on the Grand Prix circuit at the home of the British Formula One Grand Prix, 1-2 May 2010. 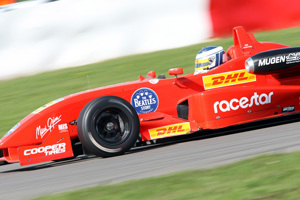 25 March 2010.../British Formula 3 National Class driver, James Cole, concluded pre-season testing at Silverstone yesterday and is now preparing for the first round of the Cooper Tires British F3 Series to be held over the Easter weekend. After over 1500 testing miles, Cole is confident that he has the competitiveness to be winning in National Class. 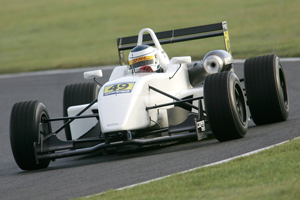 The 21-year-old Merseysider first drove his T-Sport F3 car at Snetterton in February, followed by further testing at Rockingham at the beginning of March and a day at Cole�s home track, Oulton Park. The Silverstone test draws an end to pre-season track pretarations and the focus now moves to the first race weekend of the thirty race championship. Cole has graduated to F3 from the British Formula Ford Championship, taking the title crown at the penultimate round of this series last year. 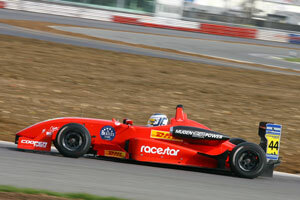 He says of his 2010 campaign, �After winning the Formula Ford championship it was a natural progression to F3. The cars are quite different though, so I�ve really needed the testing days to become acclimatised to the car, particularly the greater downforce and grip levels. 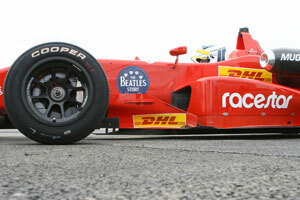 Cole has a roster of commercial partners supporting his British F3 campaign including DHL, Racestar, Highland Spring, The Beatles Story and Maui Jim. 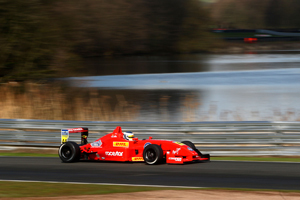 The first round of the British F3 Series kicks off at Oulton Park circuit, Cheshire over the Easter weekend, with racing on Saturday 3 April and Monday 5 April. 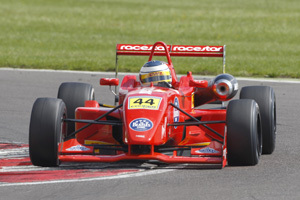 James Cole, the newly crowned MSA Formula Ford Champion of Great Britain, enjoyed his first taste of Formula 3 power at Silverstone when he went behind the wheel of a National Class Carlin Motorsport Dallara last week. 05 October 2009�/Merseyside driver James Cole (21) secured the 2009 MSA Formula Ford Champion title at the final round of the Championship, held at Castle Combe, Wiltshire on Saturday. 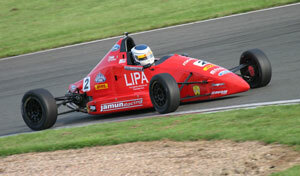 The Jamun Racing driver had dominated from the start, leading the standings since the opening round at Oulton Park, and taking seven wins and a further eight podiums during the course of the season. Cole scored 597 points during the year to beat his main title rival, American driver, Josef Newgarden. Cole provisionally clinched the Formula Ford title two weeks ago at the penultimate round at Brands Hatch, following the disqualification of Newgarden on a technical irregularity. However, with the results from Brands Hatch still pending appeal, Cole had to secure fourth or above in the opening race at Castle Combe to guarantee the title. A sensible drive in race one at Castle Combe saw Cole finish just shy of the podium to a solid fourth place, just the result he required. 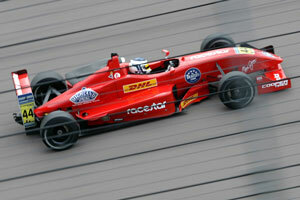 Cole crossed the line and could eventually celebrate being the 2009 Formula Ford Driver�s Champion. Ironically, in the final race of the season, the second and final race of the season at the Castle Combe circuit, Cole took ninth place, his only finish outside of the top six all season. Cole concluded, �It�s been a fantastic season for me this year, I�ve really enjoyed the racing and I feel I it has been the making of me as a driver. 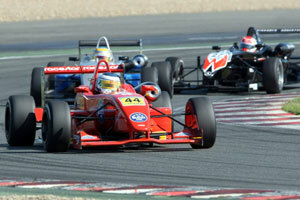 Formula Ford is a great series to develop key racing skills and is the perfect foundation for a young driver. It certainly hasn�t been easy this season, as I�ve had some tough races but it has been character building and this experience will hopefully benefit me in the future. James Cole (19) is bidding to end his second season in motorsport by winning the Formula Ford Festival, the blue ribband event in the calendar, being staged a Brands Hatch this weekend. �I really would like to spring a surprise and win the Festival�, said James who was preparing for a busy week of testing and qualifying which culminates with the final on Sunday. He was talking at Donnington Park last weekend where he collected an eighth and two ninth places in his three races at the final rounds of the 2008 British Formula Ford Championship. A member of the leading Jamun Racing Services team, James finished a highly impressive 10th overall in the 25 round championship in his Mygale SJ08. He came to notice of his present team after winning the BRSCC NW Formula Ford Post 89 and Class A Championships and the �Star of Anglesey� series last year. And James has already shown his prowess at Brands Hatch where, in last year�s �Kent� Festival final, he finished fifth. One of the first young British drivers chosen for the new this year Motor Sports Association (MSA) British Race Academy, James is managed by his father Chas Cole, the music and sport promoter from CMP Entertainment. This weekend one of James� biggest rivals will be his team-mate Wayne Boyd (17), winner of the 2008 British Formula Ford Championship, who is also managed by Chas. Winning the Formula Ford Festival has proved a major stepping stone for Formula One hopefuls including current Honda start Jenson Button, the winner in 1998. 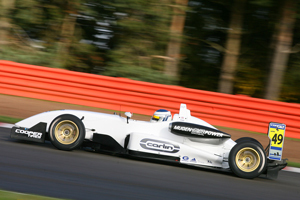 James Cole�finished in top six at�Formula Ford Festival Brands Hatch, 19 October 2008: James took tle chequered flag in the final of his first Formula Ford Duratec Festival in 6th�position at�Brands Hatch.